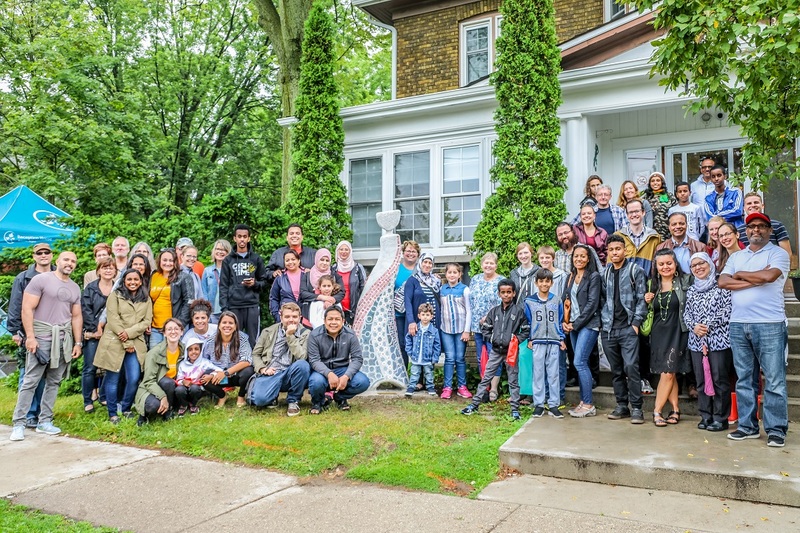 Reception House’s humble history began in 1985 when the K-W House Church began providing housing for refugees at 101 David Street, across from Victoria Park in Kitchener. It wasn’t until December of 1987 that Reception House (then known as K-W Reception Centre) was formally established, receiving 36 families from different backgrounds. In 1989, the federal government commenced the Resettlement Assistance Program (RAP) at Reception House, making it one of 30 similar sites across Canada. We continue to be the first point of service for government assisted refugees coming to Waterloo region. For the last 30 years, Reception House Waterloo Region has supported hundreds of refugees each year from all over the world. Alongside RAP, we offer Life skills orientations, health referrals, housing support, and youth programming. The combination of these programs helps newcomers feel a sense of belonging in their community. 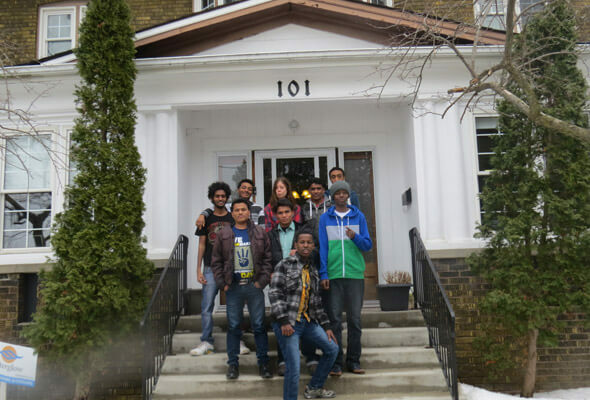 In recent years, Reception House has partnered with Kitchener’s Centre for Family Medicine, McMaster medical students, pharmacists and optometrists throughout the region to create the Refugee Health Clinic. The most recent addition to Reception House’s offerings is our partnership with Carizon Family & Community Services and the creation of ‘The Promise of Partnership,’ a program that strives to promote mental health and wellbeing amongst refugees. In January 2017, we moved our administrative offices to 675 Queen St. South in Kitchener. We continue to provide temporary accommodation to refugees upon arrival at our house on David St.